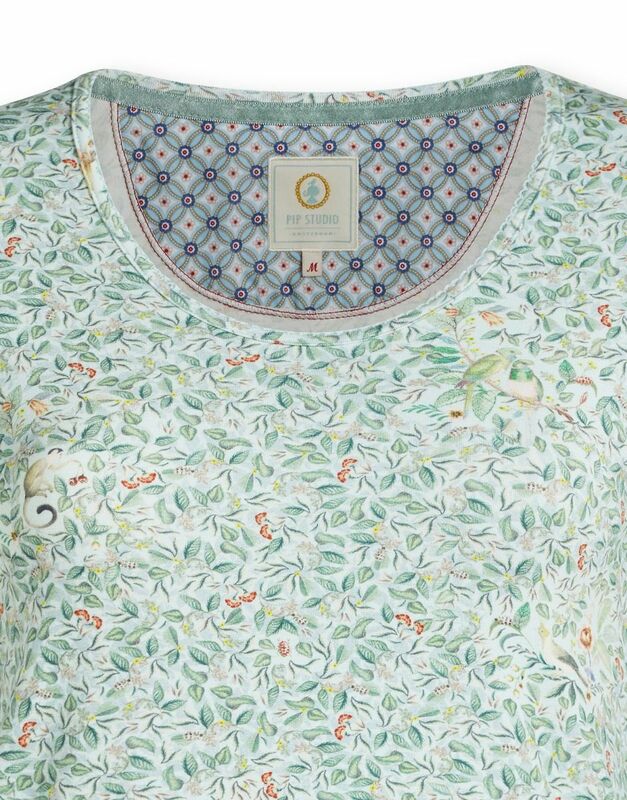 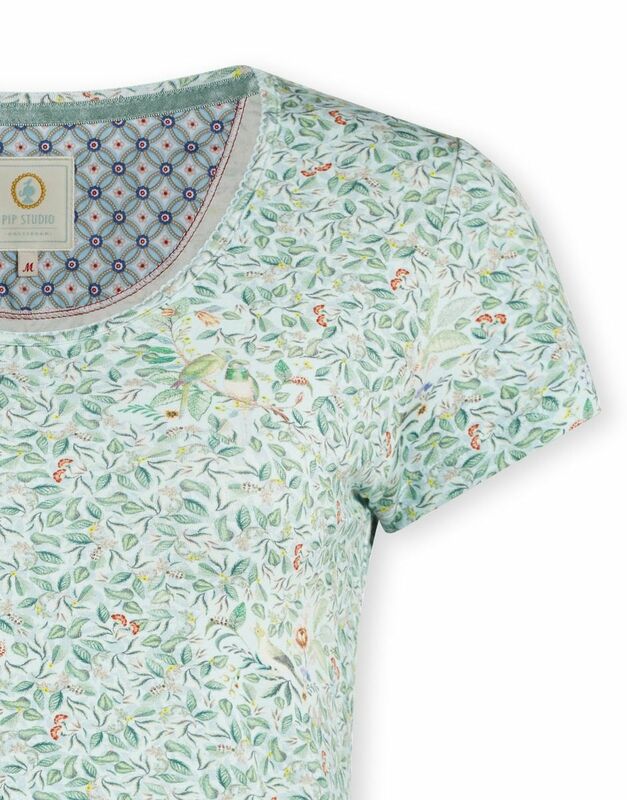 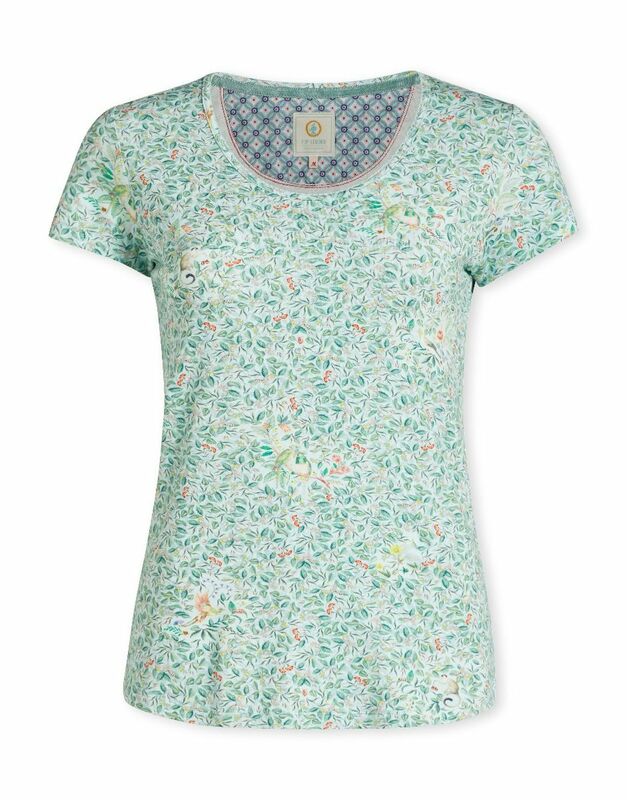 This green top with short sleeves is decorated with the Yves design, featuring exotic flowers, insects and birds. 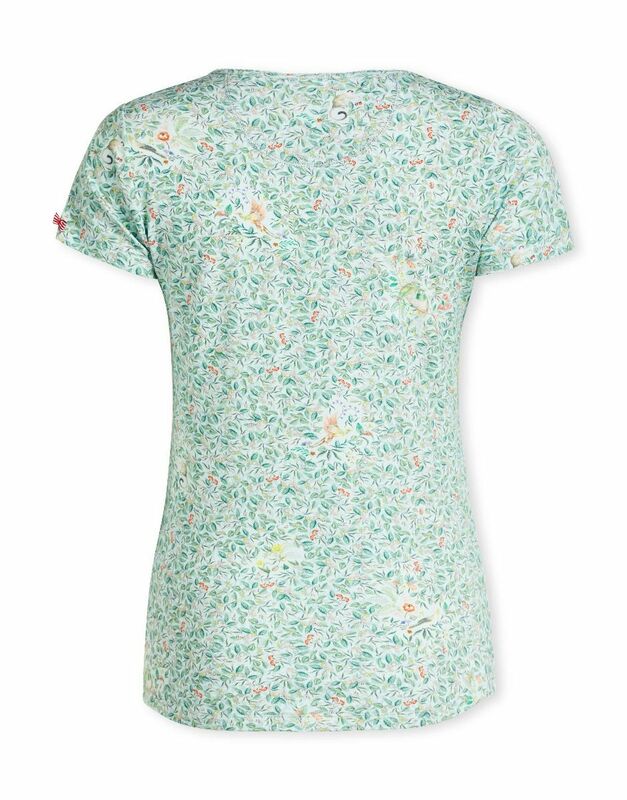 The neckline has a lovely lace trim and the familiar red Pip bow adorns the left sleeve. 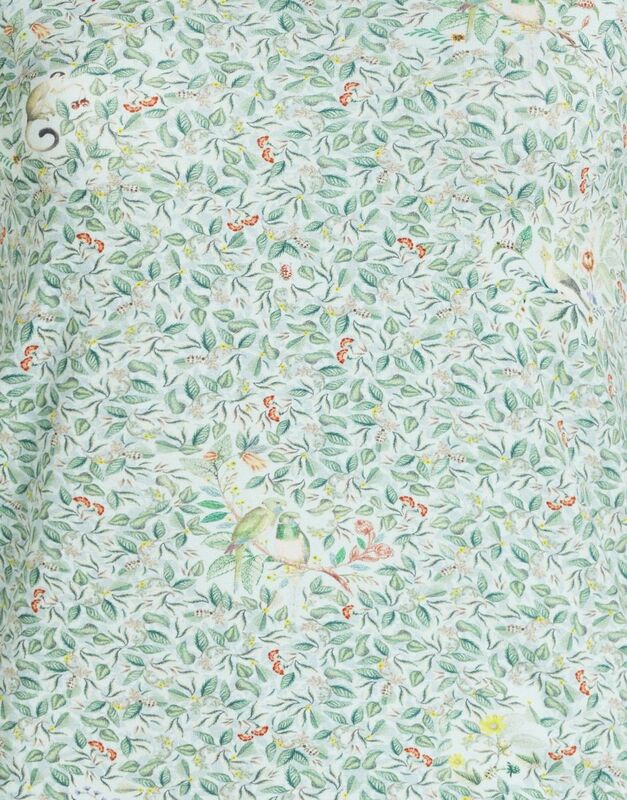 The perfect match for the Blitzer trousers or the Bonna shorts.